Darjeeling is one such hill station that has always captivated my interest. We, a group of four friends, planned a trip to this one of its kind destination. Located in West Bengal, this beautiful hill station is blessed by the natural greenery, lush green meadows, enchanting landscapes and captivating sightseeing spots. The cool climatic conditions added charm to our trip and made it more exciting. This beautiful hill station is located at an elevation of 6, 710 feet and is covered by snow-capped mountains. While staying in a beautiful hotel, we enjoyed the famous cuisines like momos and potatoes curry with sprinkled of snacks. The attractions which became a part of our exploration during the tour are enlisted below. Located at an elevation of 2590 m above the sea level, it is situated just 11 km from the main city of Darjeeling. 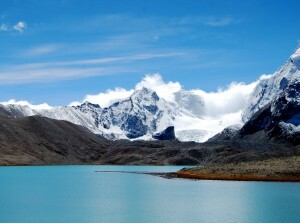 The place offers breathtaking view of the sunrise over the Kanchenjunga hills. 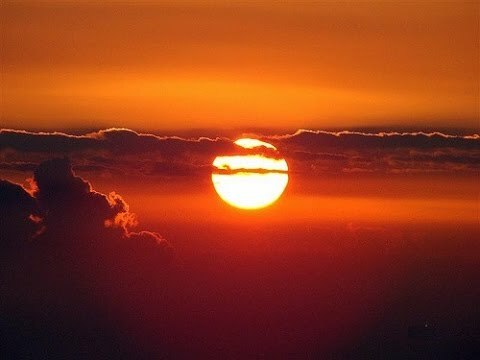 We enjoyed the gorgeous sights of sunrise. The other tourist attractions, which we could enjoyed in the adjoined areas were Senchal Lake and the famous Bird Sanctuary. 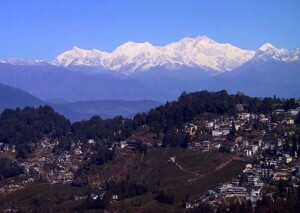 Darjeeling is a place known for its world-organized tea gardens. 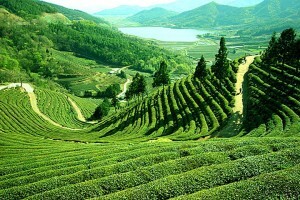 The entire hill town is blessed with beautiful tea gardens, offering varieties of tea. The tea from the gardens is known for its distinct taste, aroma and color. As we did not want to miss the opportunity to capture the images of beautiful tea gardens so we moved ahead to pick some black tea and green tea. They are among the top most varieties of tea in this hill town. It is known as one of the most sought after tourist attractions of Darjeeling. The passenger ropeway starts at North Point, which is around 3 km from town. This ropeway is around 5 kilometers long and links Darjeeling with Singla Bazaar. It passes over Ranjit River at the bottom of the valley, offering an enchanting view of serene beauty of nature. This wonderful botanical garden sprawled over a large area of 40 acres. It was established in 1878 by Mr. W. Lloyd with an aim to preserve the native floral species. To our surprise, we could see around 150 species of cacti and succulent, which are the major attractions of this place. As we visited during the flowering season, we could treat our eyes by seeing a variety of Orchid. How could we miss this most famous attraction of the place? Yes.. 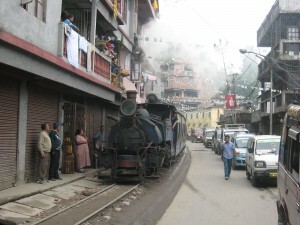 I am talking about Darjeeling Toy Train. As we started our ride on this train, we were so excited to visit the most enchanting destinations of the place. This 2 feet narrow gauge train is an ideal UNESCO World Heritage. The serpentine railway track of the train took us to the hilly slope waterfalls, Himalayan forests and fascinating tea plantations. During the joyride we could closely encounter the breathtaking views of lofty mountains and beautiful landscapes. We enjoyed the most at its two stoppages which were Batasia Loop and Ghoom. I am a great shopaholic, who always looks for unique shopping items. Finally, my search ended with beautiful Himalayan artifacts, religious objects and jewellery, which are the popular items to shop for. The trip, we made in the month of June proved fruitful for us as we could enjoy the natural beauty at its best in Darjeeling.